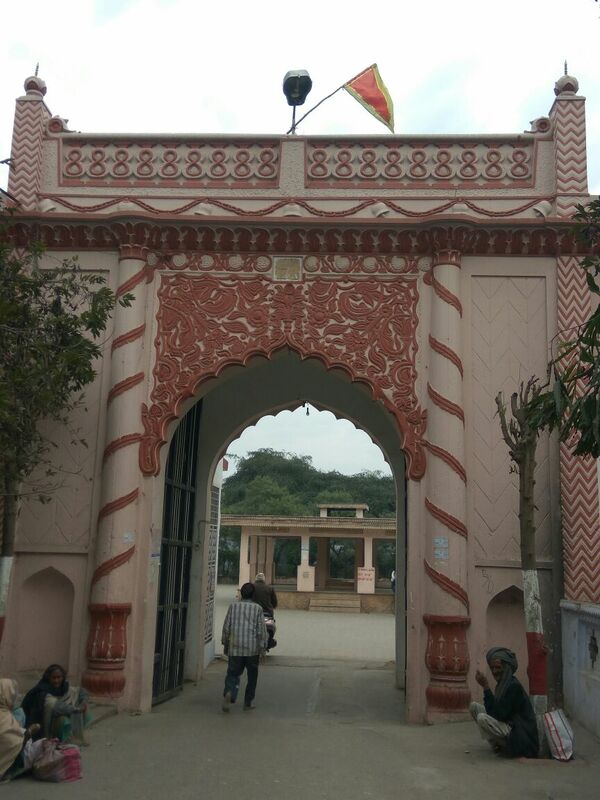 Two beautiful gates were constructed by Rohilla leader Hafiz Rahmat Khan at four centuries old temple in 1769. 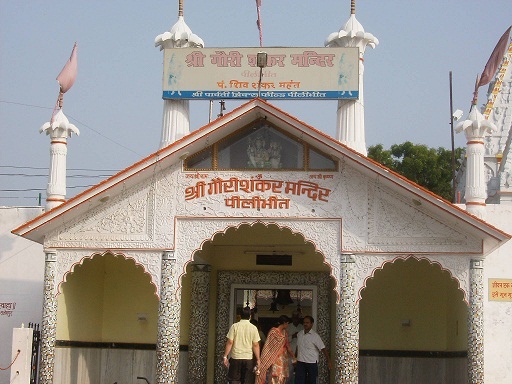 Pilibhit, a small city located fifty-five kilometers south of Bareilly is the headquarter North Eastern most district of Rohilkhand division, Uttarpradesh, India. 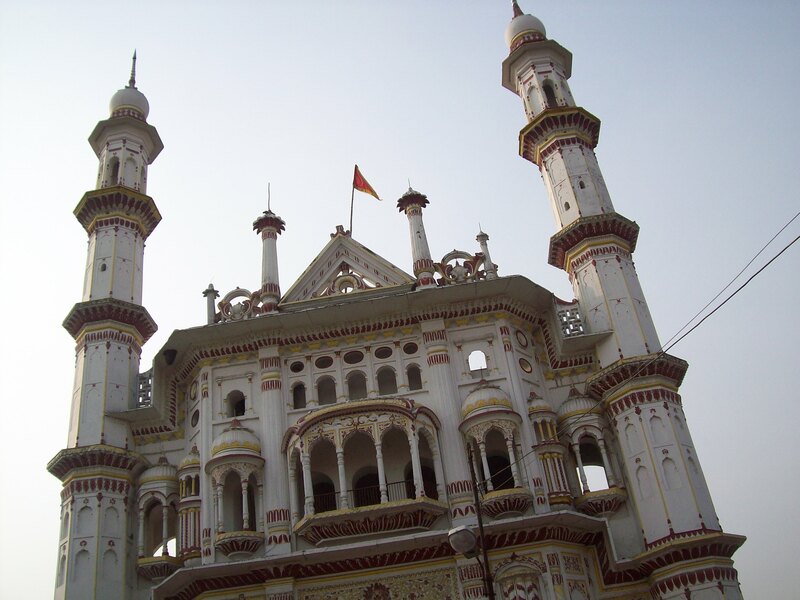 Pilibhit was created as the separate district from Bareilly almost one hundred thirty-nine years before in 1879. 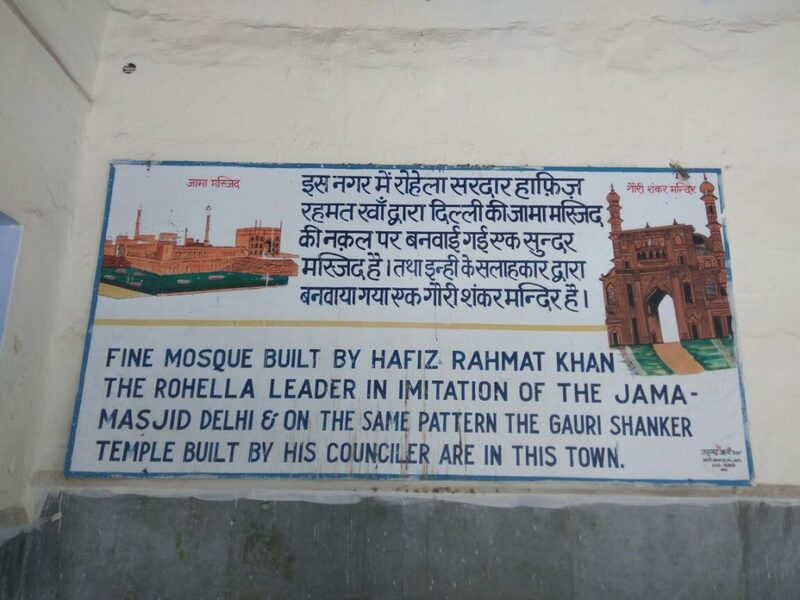 The late historian Iqbal Ghani Khan wrote in his research article Afghan cities and town in North India (C1720-1800), “the Ruhela decision to set more permanent structure in the form of the mosque, city walls, palaces, bridges, and markets was seen in the growth of Pilibhit under Hafiz Rahmat Khan in 1760 (Khan, 1991)”. Other than the origin of the River Gomti from Pilibhit District, it has few monumental remains of the mid-eighteenth century when the city was founded by Rohilla Cheif. A mosque was built on the pattern of Shahjahanabad Jama Masjid and another flank of Rohilla courtyard also houses a large temple (Khan, 1991). The grand eastern gate of the temple depicts beautiful signs of the Indo-Saracenic architecture. 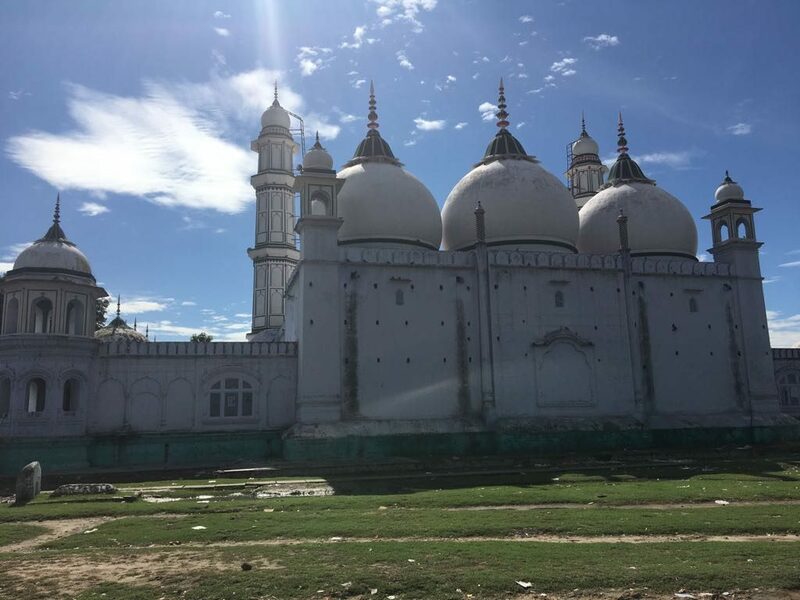 It’s difficult to differentiate from tall minarets whether it is of mosque or temple. My ten years old click when the temple and gateways were painted with the mix of white and golden. 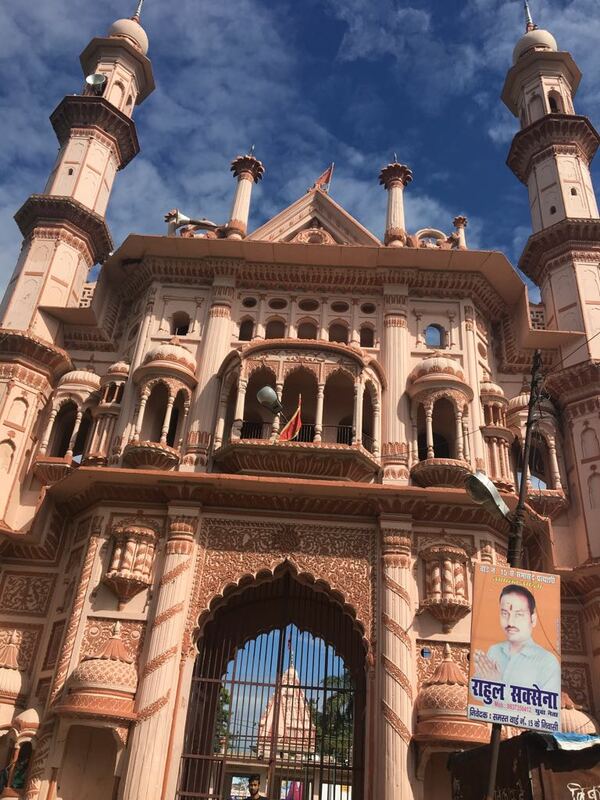 One of the foremost among them was Gauri Shankar Temple ( Mandir). Located in the western quarters, a place of antiquity, on the banks of River Khakra, the temple dates back to the eighteenth century. It was the ancestors of priest Har Prasad who were passing for the Pilgrimage four centuries ago. Here at the stop on the way that was once surrounded by the thick forest, the caravan stayed overnight for the rest. As per legendary story during the night, the priest saw the idol of Shiva in the dream. Miraculously, in morning, they found the statue of Shiva placed in proximity to the tent. This is how the temple got the name Gauri Shankar (Integrated with the name of the wife of Shiva and his own name). Southern gateway: the simple arched design, floral with taakh add to its beauty. The mendicants are waiting for their alms from the visitors. In 1769, when the Jama Masjid was constructed two beautiful gates were added by Hafiz Rahmat Khan on the Eastern and Southern end of the temple. The inner section of the temple was reconstructed by Rao Pahar Sigh, the Diwan of Rohilla chief. Fortunately survived to date, these two grand gates build in Indo Saracenic style are the testimony of the syncretic cultured of Rohilla reign. Even during the mutiny, British officers failed to incite communal divide when Rohilkhand came for the small time under Khan Bahadur Khan. Professor Iqbal Hussian from Centre of Advance Studies, Aligarh Muslim University quoted that this was the outcome of the syncretic environment created during the Afghan rule in the late 18th century North India. The Jama Masjid of the same time that was depicted above on the wall of Railway station. Both monuments lie in the western quarter of district that was once the main section of the town during the late 18th century. The Gauri Shankar Mandir is located 500 meters North West of the mosque. 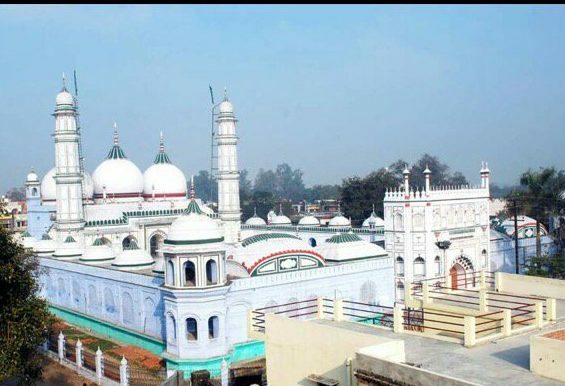 An aerial click of the mosque by Shahnawaz Said Khan. From the roof of the mosque, the beautiful eastern gateway of the temple can be visualized. KHAN, IQBAL GHANI. “AFGHAN FORTS AND TOWNS IN NORTH INDIA (C. 1720-1800).” Proceedings of the Indian History Congress. Vol. 52. Indian History Congress, 1991. Husain, Iqbal. The Ruhela Chieftaincies: The Rise and Fall of Ruhela Power in India in the Eighteenth Century. Oxford University Press, USA, 1994.